Geoff is the one seated on the front row second from the right. 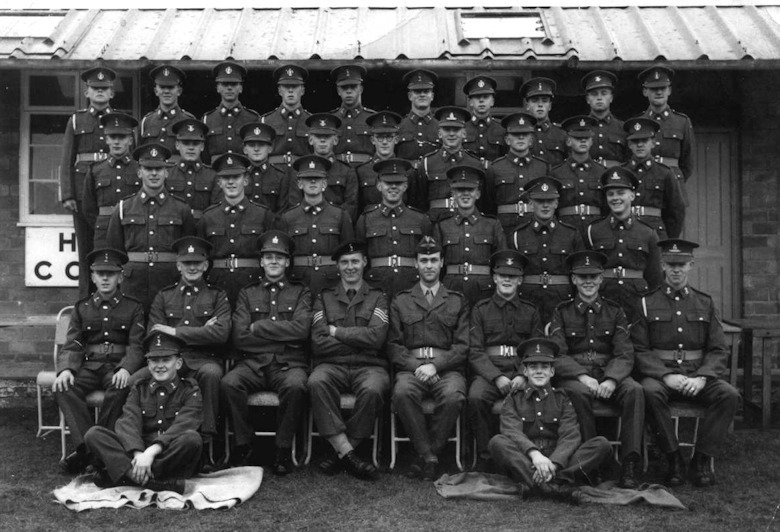 Also in the photo are T. Woods (standing between the platoon sergeant and officer), M. Regan (top right) and Brian Wright fourth in from the left, second row from the back. The officer is Lt. Godfrey Pickles.